The Jaspers’ Athletics department is among nation’s best. 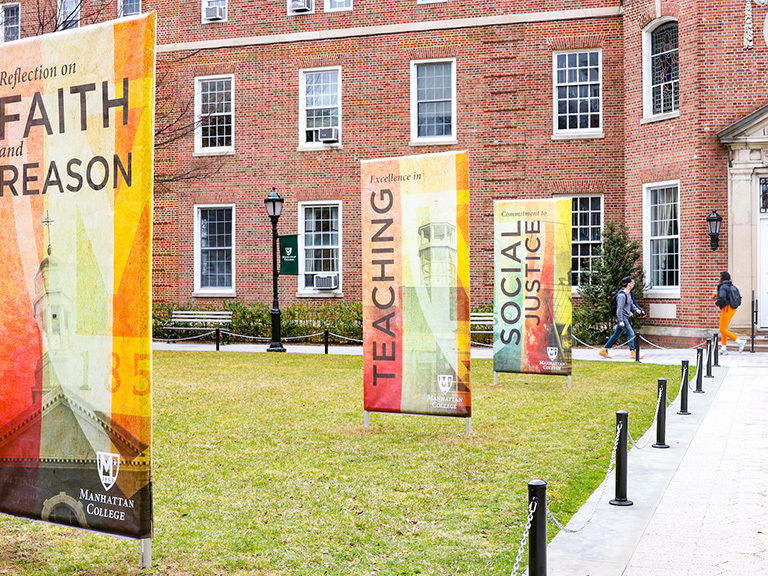 In between classes, practices and intercollegiate contests, Manhattan College’s Athletics department has embraced the Lasallian core values of showing concern for the poor and promoting social justice in New York City. During the month of September, Manhattan College’s Student-Athlete Advisory Committee submitted more than 2,000 hours of community service via the Helper Helper app, which coordinates and tracks student volunteer hours among NCAA Division I athletics programs. Manhattan is the national leader in community service hours as of September, having finishing second nationally during the fall of 2015. In September, the Jaspers’ men’s and women’s lacrosse teams ran in the Stephen Siller Tunnel to Towers Memorial Run. The run is in honor of Siller, the father of Olivia ’18 and Genevieve ’20, a New York City firefighter (FDNY) who lost his life on September 11, 2001, after strapping on his gear and running through the Brooklyn Battery Tunnel to the Twin Towers. The Stephen Siller Foundation continues Stephen’s legacy by supporting first responders and service members. Building for America’s Bravest, a proud program of the Stephen Siller Tunnel to Towers Foundation, constructs specially adapted smart homes for the country’s most catastrophically injured service members. 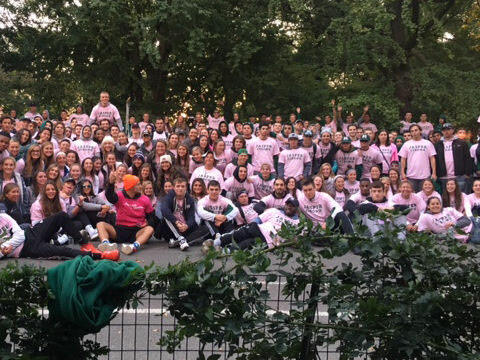 In October, more than 300 Manhattan College student-athletes and staff members participated in the American Cancer Society’s “Making Strides for a Cure” 5K walk in Central Park. The Jaspers’ group had raised more than $1,800 for the American Cancer Society at the time of the event. "The Manhattan Athletics department's participation in the event provided an opportunity to spread awareness within our College community and beyond,” said Kat Prevo ’19 of the softball team. 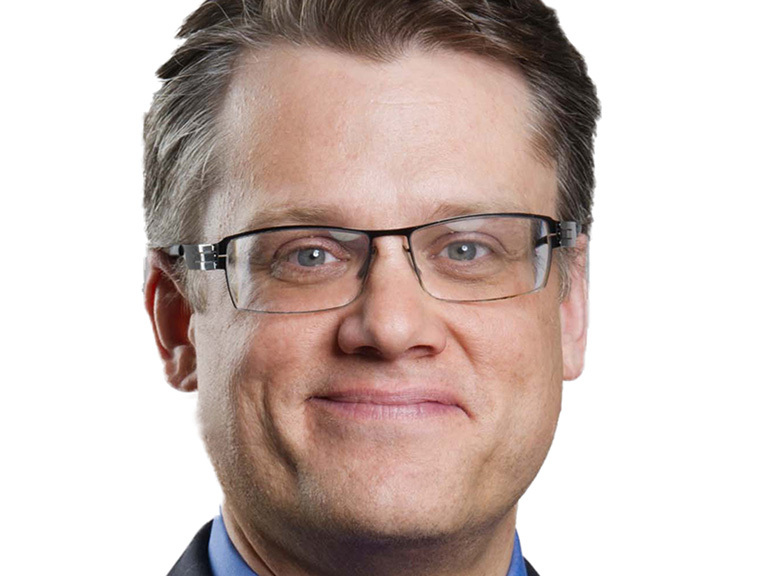 “The walk was decorated with Jasper green and pink pride, and I was beyond happy to partake in such an empowering event." The Student-Athlete Advisory Committee has a number of community service events scheduled throughout the remainder of the 2016-17 academic year, including a fundraiser for St. Baldrick’s Foundation, which raises money for research to end childhood cancer. The event, which will include students shaving their heads in solidarity with cancer patients, will take place in Draddy Gymnasium on Thursday, Dec. 1 at 5:30 p.m.